We love a handmade Christmas, so we’ll be gathering together lots of ideas on this post from our crafty friends on Twitter and Facebook! We’ll include the links so you can shop direct, read on for lots of lovely gift ideas. QUIRKY. These personalised scrabble tags are unique Secret Santa’s, stocking fillers, decorations or even pressy tags! Just pop over to Facebook and have a chat with Littlen’s Crafts to see what can be done. MAGICAL. Make a little one’s Christmas morning even more magical with Santa’s lost button. How fabulous would it be to find this amongst the presents under the Christmas tree? You can order your Santa buttons here. Maisy Plum enamel work features in film! 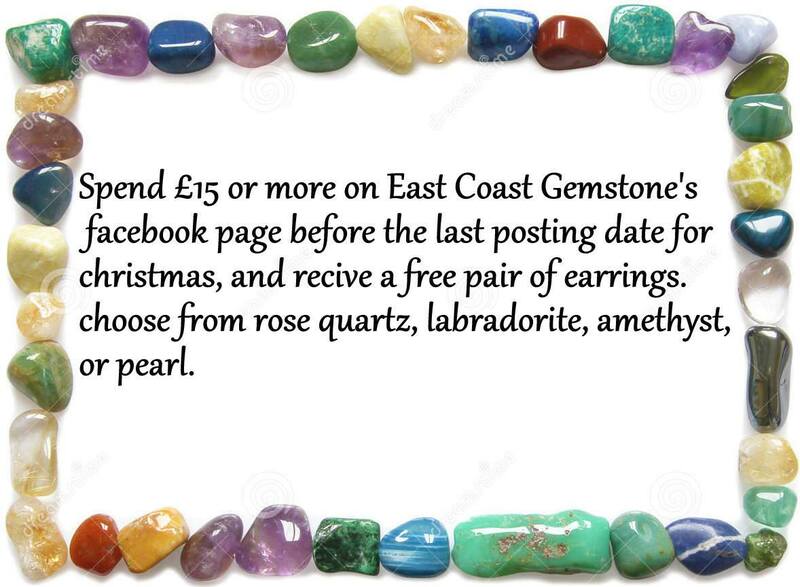 Better get yourselves over to the East Coast Gemstone’s Facebook page and have a browse of their albums! Handmade genuine bespoke gemstone jewellery – designs to suit all tastes and all budgets. Choose from their massive selection or commission a special piece. Special Offer – spend £15.00 and get a free pair of earrings – that’s two Christmas gifts sorted for the price of one!